“My dream is to share with clients my love of travel and to see every part of the world until I can no longer travel myself. My Grandmother was my inspiration and would always say “travel as much as you can”. Every time I travel I carry her in my heart.” Mary says she would love to visit Italy. “I always wanted to take my grandmother to Italy. Instead of looking at places as a tourist and reading about the past, I will hear her say “that was where I met your grandfather”. 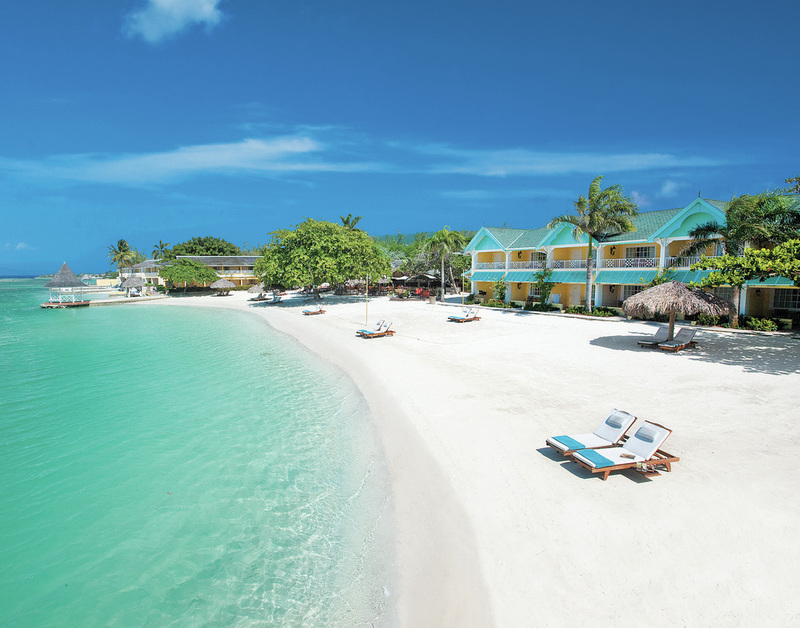 Imagine the skypool overlooking the turquoise waters of Jamaica, or the pink gin beaches of Grenada. These are some of the amazing dream vacations offered by Mary Fowler at Riverside Tours and Travel, an exclusive Sandals Resort Travel Agent. Mary has been in the travel business for many years and has visited most of the Sandals resorts herself. “Many times after finding the perfect destination for a client, I find myself calling my husband to see when he is free to travel as I am so inspired by the destination or resort. I met and married my best friend and will celebrate my 25th wedding anniversary next year. For this momentous event we plan to renew our vows at Sandals Barbados. We have two boys, one grandson and two very special Chihuahuas Harley & Spot,” Mary said. TRIP TIPS Here are the Top 5 Travel Tips from Our Expert to make your next trip great! Write down you must haves. You want to be sure that where you are going and what you are doing is exactly what you want on your vacation. Make sure the place you choose is a place that fits your style and needs. You do not want to find yourself at a resort that parties when you wanted a quiet beach to read a book. Do not book online. You have a 62% chance of arriving to find out your hotel room is not what you thought or worse you are being sent to another property instead. When you book online you are now calling another country and if issues arise they are not your advocate. Use a travel agent, their services are free and they find the same if not better rates for your vacation. Our knowledge is extensive and we know which rooms will give you that incredible view and which destinations will fill all of your needs. Book early, the last minute deals are now becoming fewer and far between this is especially true for holiday travel, summer vacation and spring break with your family. *Sandals Resorts offers the Caribbean’s most innovative luxurious vacations.. For more information please visit www.sandandsun.net. Opening in St. Johns County is essential to our growth in the Greater Jacksonville community. Cole Slate, Rookie of the Year and Sales and Marketing National Finalist has expertise in the community. When Cole Slate came on board as a Yellowfin Agent, and later as a Shareholder, he helped us identify our first launch site at Jacksonville Beach. For him there is no place like home and he considers St. Johns County his home base. Cole’s energy and enthusiasm for Real Estate has helped us attract new customers, clients and agents. 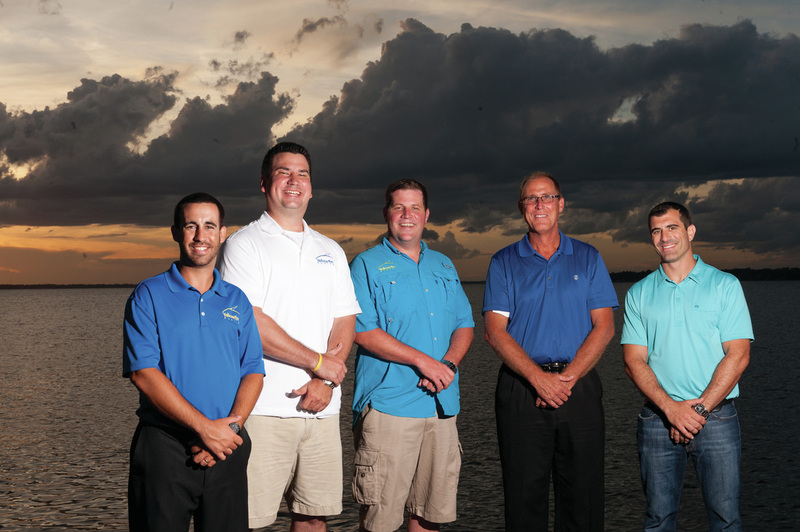 Yellowfin Realty is a family-owned company with a strong connection to Jacksonville and the State of Florida. They recently opened an office in St. Johns on CR 210 in the heart of our community as a way to extend their brand, continue to reconnect with their roots and be part of the the fastest growing and hottest real estate markets in Florida. The convenience of I-95 made opening Yellowfin Realty St. Johns, as the second Yellowfin office in NE Florida, a no-brainer. Yellowfin Realty was originally opened by Susie and Luke Morris in June 2009 in Tampa Bay. It was a challenging time in real estate. The market was stressed but they dreamed of creating a vibrant, flexible company that addressed the concerns of loyal clients who had lost financial footing during this historic economic downturn. They started with only a handful of agents, and it has grown consistently over time. Luke’s brother William Morris was the first to join and he quickly became a shareholding partner. 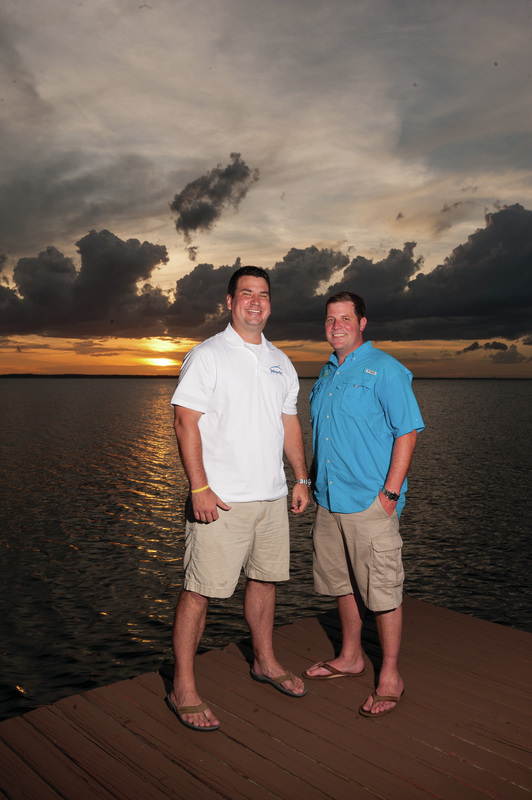 With the help of older brother Chad Morris, the decision was made in 2013 to expand Yellowfin’s footprint in real estate to other parts of Florida. Today there are offices in Tampa Bay, Jacksonville Beach and now in St. Johns. According to Luke, “We tapped Cole Slate, a top local agent. With his love of gators, family, friends and football, he was the ideal partner for the Jacksonville market”. Luke says they are excited about making a difference in a state they love. Their connections to Jacksonville go as far back as the turn of the century. The Morris family are fifth generation Floridians with deep roots in Jacksonville, Tampa and Miami. Luke and William were raised in Tampa where they grew up learning and hearing about the opportunities and challenges of real estate. Susie Tate Morris was born and raised first in Miami. Both his grandparents, Charlie Tate and AnnieLee Hardee Tate attended and graduated from High Schools in Jacksonville before the war. Now 93, AnnieLee, was the first realtor in the family and recently retired as the oldest member of the North Georgia Board of Realtors. And Luke’s great-grandfather just happened to be Napoleon Bonaparte Broward, the Sheriff of Duval County before he became governor in early 1900’s! At its core, Yellowfin is a solution-oriented company known for leading through customer service, innovation, flexibility and successful practices. The agents are the key element that sets the company apart and helps them stand out in a competitive market. They hire professionals who want to learn more, know more and give more to their customers than the average agent. “Real Estate historically has required little formal education. We are attracting college educated people from varied degree programs and universities from Marketing, to Real Estate to Economics. We started YFR at a time when jobs were limited. We decided to leverage what we knew to provide jobs for outstanding young people who were just getting into the job market. It is a winning strategy for our agents, our customers and our company. The next wave of homeowners are from the Millennial generation. We are hiring and training them in Real Estate and they create amazing synergy as they bring their exceptional experience and education to the practice of Real Estate,” says Luke. Yellowfin’s early success was in many ways due to Luke’s mother and mentor, Susie Morris’s experience in real estate. “She is the matriarch of our brand” says Luke. “She began in real estate in 1985 and always encouraged us to get into real estate.” Yellowfin’s success, he says, is due to a unique attitude and uncommon approach. “We are a growing company with a fresh approach to business. Our name tells the story. The yellowfin tuna is considered to be “pound for pound” the ocean’s strongest and most resilient fish. In a sea of real estate agents and competitors, Yellowfin Realty strives to embody strength and resiliency.” In every situation Yellowfin Realty brings their A-game. For information about Yellowfin Realty please visit www.yellowfinrealty.net or get to know them in person by attending their monthly happy hour, ‘Fin Friday’ listed on the St. Johns Magazine calendar or announced on the Yellowfin Facebook page. The idea originally came to us in late 2012. Jacksonville was in the middle of the food truck “boom” and we heard about another type of mobile business having success on the West Coast. During a trip out to LA, I made it a point to stop and see one of their fashion trucks. 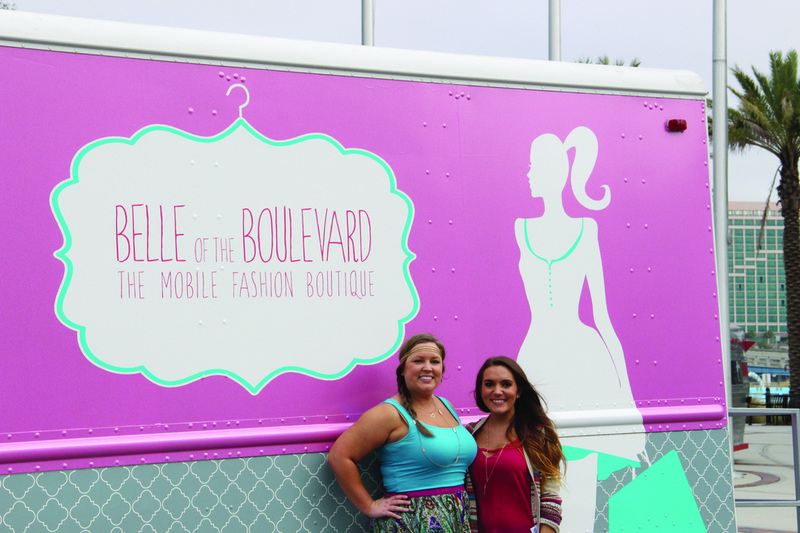 The girls who owned Le Fashion Truck were just the sweetest! They talked to me for over an hour and I left LA and came back to Jax feeling so energized and excited to start researching. After the decision to “go for it”, we found the truck, repaired the engine, renovated the inside and bought the inventory - over several trips to LA, NYC and ATL of course. It was never a consideration that it wouldn’t work. I just started it and never had any doubts. I was working in a non-fashion related industry after starting my career in the fashion field and I just found myself missing it. I missed the relationships that I had with vendors that I worked with in earlier years and missed being around all of the great and pretty fashions! It’s something that I’ve always loved and I’ve always wanted my own store. When we first heard about mobile boutiques, something just clicked with me. So I took my knowledge that I had acquired from working in a few buying offices and on the designing/manufacturing sides of the business and I started working toward launching ‘the truck’. We offer brand new, current season ladies apparel and accessories - and all at great price points. We shop direct from the showrooms in NYC, LA and ATL and bring you our favorite pieces from an assortment of lines. We seek out the best quality and price to bring you unique and special pieces that you won’t be able to find just anywhere. We schedule “pop-up” shops all around Jacksonville. You can find our calendar on our Facebook page (Facebook.com/BelleBlvd) and we also announce our weekly schedule on Instagram and Twitter as well (Instagram.com/BelleBlvd and Twitter.com/BelleBlvd). Another way to “shop Belle” is to schedule a private party! You can plan a get together at your home and we’ll bring the truck to you! You just need to have at least 8-10 ladies who are ready to shop. There are no fees to book a Private Party - and the hostess of the party will even get a discount on her purchases for the event! The more successful the party, the larger the hostess discount! We recently launched our online store (belleblvd.storenvy.com) to make it even easier to get great pieces from Belle. If you can’t make it to one of our events, or aren’t able to book a private party, you can shop us anytime of the day or night! The idea of a fashion truck is a unique thing. You’re shopping fantastic styles in a converted truck! It’s such a fun concept and, have we mentioned that it’s a pink, glittery truck?! It’s the epitome of “girly” and is a fun and unique way to shop. It can be so overwhelming to shop in large stores. At Belle, we have limited products so you can come in and shop without feeling overwhelmed. We also only carry limited quantities of our items. That means you won’t run the risk of showing up to an event in the same outfit as someone else! We all need that peace of mind! We just want to continue to grow our following and bring the best fashions that we can to Jax! We love organizing special events for our shoppers and will continue to do so as long as they keep showing up! Special events also give us the opportunity to get to know our customers on a personal level, which we absolutely love! We are usually out every Saturday and at least once during the weeknights. Our calendar can be found on our Facebook page (Facebook.com/BelleBlvd) so that you can find when we’ll be close to you - or you can make a point to come to us! We are approaching our one-year anniversary in April and will be planning a big celebration for that special moment! Make sure to follow us on social media to be in the know about upcoming events like our anniversary party! It’s difficult to describe an “ideal” customer, as we try to cater to many different customers. Although we have a small space and limited styles, we try to carry a wide assortment so that there is something for everyone in Belle. Some people think that we are for a “younger” crowd, but we have woman of all ages who are loyal customers and always can find a great tunic or piece of jewelry. We have the type of styles that a mom and daughter can “share” from one closet to another. Just ask my mom where she likes to shop! Did you have any mentors in your life? My first exposure to the fashion industry was my very first internship with local Jacksonville based jewelry designer Margot Thompson. She showed me the ins and outs of the business and was the best entry into this field. Margot actually took me on my very first trip to New York City! She is so kind, generous and has always supported me with every decision that I’ve made along my path. When I made the decision to launch Belle of the Blvd, I turned to her for advice and approval. And it just so happens that twelve years later, I’m now engaged to her son Ryan! She is a great Mother-in-Law and I’m so blessed to know her! On a recent evening in Fruit Cove about twenty women (and a few men) gathered together with glasses of cabernet, cheese & veggie platters and paint brushes to paint a scene of a sky ablaze with lighting and distant mountains. At the front of the studio, an artist leads the class through each step and stroke. As the group makes its way from blank canvas to final masterpiece there is a lot of laughter and some great tunes playing in the background. It’s more of an art party than an art class and it is what happens at Painting with a Twist, the new art studio in our neighborhood. Overseeing all the fun is the bubbly owner of Painting with a Twist, Carolina Colletti. Carolina says she fell in love with the idea from her experience as a customer at the St. Augustine location. As a young mom whose daughter recently started elementary school, she and her husband Carl wanted to start a business. They decided to open a Painting with a Twist studio closer to home in northern St. Johns at Bartram Walk Plaza in Fruit Cove. “We really didn’t have anything like it in this area,” said Carolina. Combining art in a BYOB* setting where friends can get together and have fun is what makes it unique. The studio, which can comfortably hold 40 in the main room and another 25 in the private party room, provides all the patrons with the art supplies needed for the class. Each class is scheduled to create a beautiful painting, one of more than 4,000 copyrighted choices available in their database. The paintings change each month and are listed on their online calendar. The Painting with a Twist corporate artist even custom paints artwork unique to each locale, like the recent Starry Night Over Jacksonville (right) that was a big hit with locals in Fruit Cove. “We want to give back to the community as well,” says Carolina. The studio offers Painting with a Purpose events that give a portion of the proceeds to a qualified charity organization. Painting with a Twist in Fruit Cove will hold their first fundraiser in September at the Orange Park Medical Center in an upcoming offsite event to benefit Heart Disease. In addition to scheduled classes, patrons can book parties, anniversaries, birthdays, bachelorette/bridal/baby showers, engagements, team building, kids birthdays, Girl/Boy Scout events, and offsite events. To learn more about Painting with a Twist in Fruit Cove, contact Carolina at 904.518.4932 or email studio123@paintingwithatwist.com, or visit them online at www.paintingwithatwist.com/jacksonville-fruit-cove. *Bring Your Own Beverage, alcohol allowed but not required. You know what its like when you look in your closet and want to throw your hands in the air with frustration because there is just not enough room for all the stuff! That is where Perke Robinson at Ponte Vedra Closets comes in. Ponte Vedra Closets is a closet and room reorganization company that customizes your space so everything fits perfectly. Each custom design is similar to solving a puzzle. Everyone has different needs so a one-size fits all approach often does not work for his clients. While some homeowners need a solution for limited space challenges. Others want the luxury of a beautifully appointed, convenient closet. Ponte Vedra Closets uses ORGdesign, proprietary design software that helps Perke and his Design Assistant and Engineer David Ructer engage with clients so that the result is a solution that is uniquely yours. Ultimately, they use a combination of racks, shelves, drawers and baskets of various sizes and shapes. Perke has been the owner of Ponte Vedra Closets for five years and worked with the previous owners for seven years prior, learning the ins and outs of the business. He has a simple philosophy that includes a lot of hard work, a high quality product and impeccable customer service. He has always been a hands-on business owner and usually meets with clients personally, visiting job sites frequently to ensure everything is going well. The work they do is the highest quality and as a result they have a 60-70% referral business. Perke was born and raised in Jacksonville and currently lives in northern St. Johns. Family comes first, and it is one of the reasons why he loves owning his own business - so he can be available for his children after school. He loves to fish and enjoys taking his boat on the intercoastal water way and entering in King Fisher tournaments. He says it is a great way to get away from stress. As the company continues to grow, Perke has plans to give back to the community by offering his services to Habitat for Humanity. It has been a year since St. Johns Magazine featured Nina and Chris Stelfox, the new owners of Indulge Salon Shoppe & Spa, a beautiful 3200 square foot hair salon and day spa located on CR 210. We followed up with Chris & Nina to learn about their journey in the first year as small business owners. Chris & Nina Stelfox left their corporate jobs last summer with a vision to transform Indulge into a place that the St. Johns & St. Augustine communities would think of first when looking to rejuvenate, re-energize, and to look and feel beautiful. Last month, Indulge was voted by our readers “the best hair salon in St. Johns” and Chris & Nina could not be happier. “These last twelve months have been full of blessings because Chris and I have a great team behind us. We have experienced growth, and all signs are positive for us. This could have never been possible without our current team: Carolina, Ed, Diane, Laura, Denise, Irina, Teresa, Charlotte, Tamilee, Steve, Grace and Megan. As well as our former team members: Kim, Sarah, Hillary, Norma & Sheila who have gone in different directions but whom we miss and thank for their contributions.” Nina said. When we asked Nina what has this last twelve months been like, she answered: “We definitely have a lot to celebrate. It has been great to see new faces walking into Indulge and seeing them become loyal customers. It has been very gratifying to see how our team consistently indulges our guests in wonderful services that make them look and feel beautiful. We want people to choose us because at Indulge they find a beautiful, comfortable and relaxing environment, a kind spirited team of skilled talented professionals and all at reasonable prices. At the new Indulge, it is about the guest experience. “We go out of our way to make sure that individually and collectively we deliver quality services and an experience you will want to come back to and recommend to a friend. Our team understands who we are, and shares similar values that embrace positive thinking and good energy. This reflects beautifully in the experience we are here to create for our guests. It seems organic to us. This is a good thing.” said Nina. Chris & Nina have grown closer together. They are good at grounding each other and at helping each other cope with the anxieties and fears that all new small business owners go through. The right signs are there. We continue to greet new faces and grow our team. We are excited about what the next twelve months hold for Indulge. If you are trying to reverse the signs of aging, find a new facial service or get relief from the stresses of everyday life with an expert-level massage, Spa ME is the perfect place to find what you desire. The best thing about Spa ME is it is locally owned and it’s right in our neighborhood, conveniently located in the offices near St. Johns Forest on CR 210 just behind First Florida Credit Union. Spa ME has become a favorite among locals in northern St. Johns for its high quality medical grade esthetic services and massage therapy at affordable prices. People return time and again because the professionals there know how to help people look and feel their best. The owner, Dr. Richard Townsend opened Spa ME in May 2010 as a neighborhood boutique Spa offering high quality services at affordable prices. Dr. Townsend is a Board Certified Family Physician who graduated from Wake Forest University and was in the top of his class in medical school at the University of South Florida. He was also a Flight Surgeon in the United States Navy stationed at NAS Jax, finishing his residency at Mayo Clinic in 2003. Lindsay Navin is the Manager at Spa ME and has been with the company since its inception. She and her team of certified massage therapists, physician’s assistants and estheticians has worked closely with Dr. Townsend to develop the spa into what it is today. Lindsay is also a licensed esthetician with more than fifteen years experience in the skin care industry. She feels that her facials are clinical in nature with a focus on results. Treating specific skin concerns is the priority while also providing a very relaxing experience. She is trained on IPL and lesion removal as well as an expert in all chemical peels and microdermabrasion. Lindsay also lives in our community. The signature feature is a Spa ME membership component that allows clients to come on a regular basis and receive a sizable discount for services and products purchased. For instance, one massage is not as effective in providing relief and reducing aches and pains as a package that allows people to come in on a regular basis. The same is true of facials, which are recommended on a regular basis to maintain a healthy glow. “We believe our small boutique setting offers a very comfortable and friendly atmosphere where our members can easily request their favorite service providers for their monthly treatments”, said Navin. Dr. Townsend’s decision to offer memberships was intended to foster a closer relationship between the spa and the community. 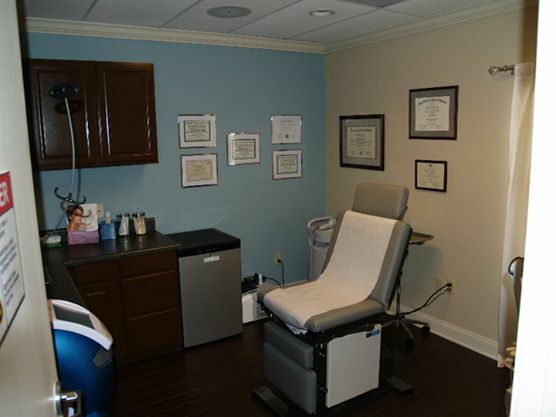 As the owner and physician next-door at Baptist Primary Care, Dr. Townsend wanted his patients to be able to have the option to have cosmetic procedures done such as Botox, laser hair removal and dermal fillers in a safe, professional manner. 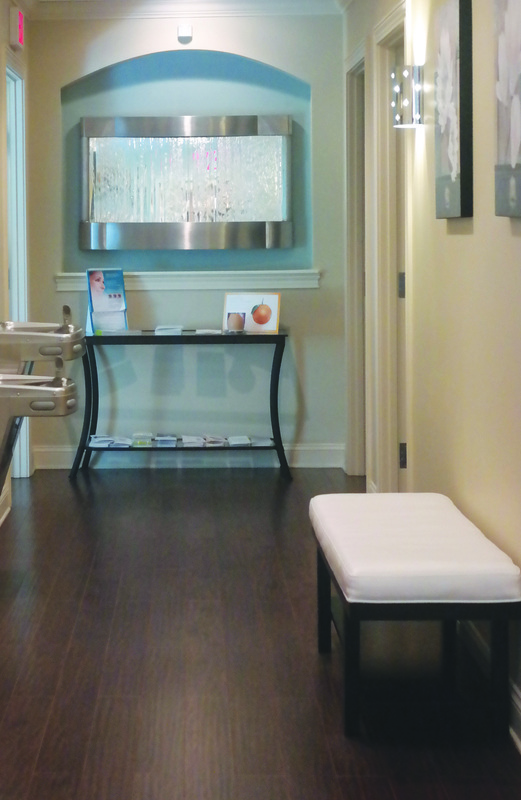 Dr. Townsend adds that Spa ME will always strive to provide a personal touch. 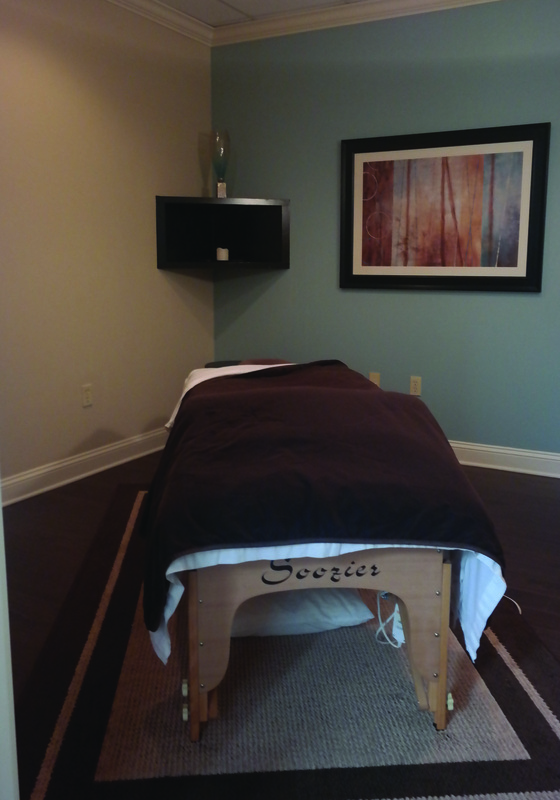 Clients love the clean and stress free environment of Spa Me. All four therapy rooms are decorated with peace and tranquility in mind to foster increased relaxation.